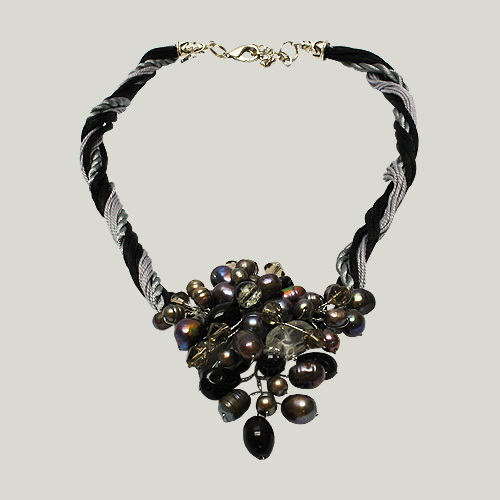 Wrap your neck with this artfully crafted beaded choker and it will convert any ensemble into a stylish evening wear. 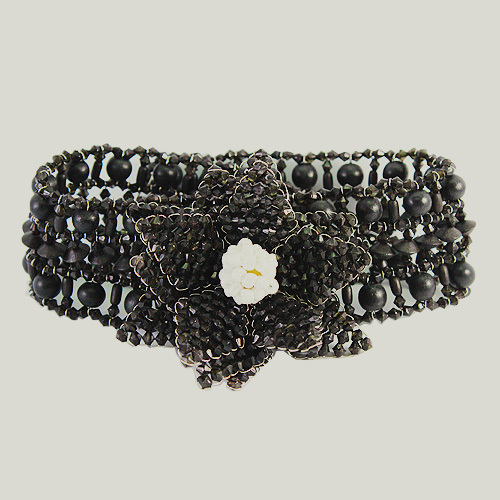 Although very trendy, the Flower Power choker will not wear out of style. 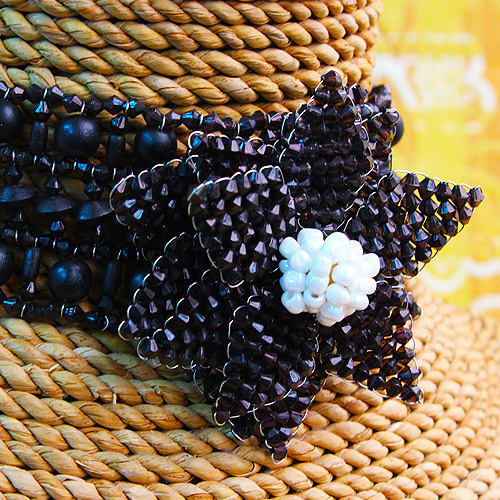 Its color and style are timeless and will go with any shade and look. 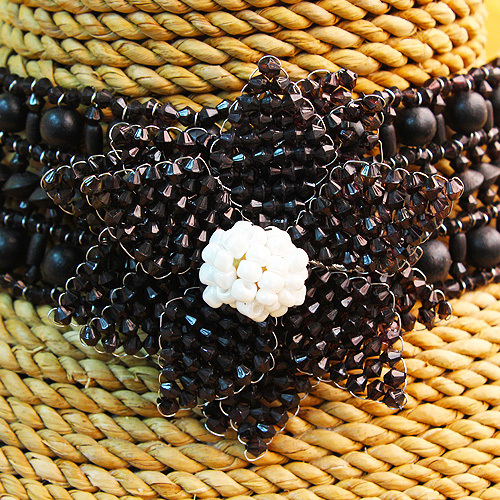 Made from hand applied black beads and wooden balls with glass bead bud. Go Green Certified.